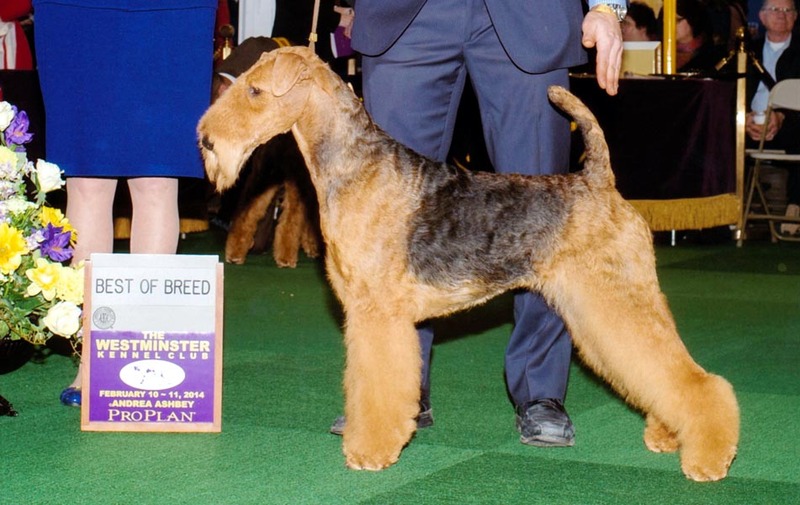 This outstanding Krissi daughter has the same "show attitude" as her mother. 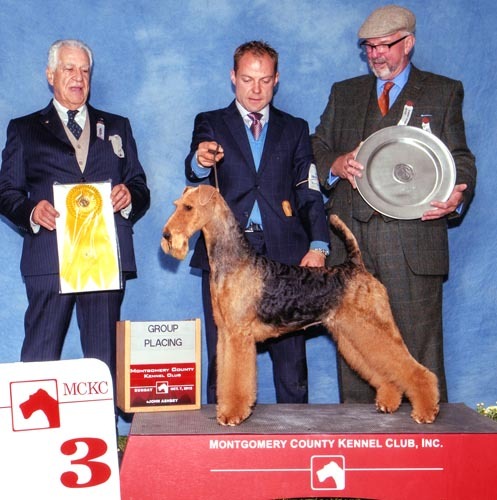 In her first time out, at just 6 months old, Wispa won Best in Sweepstakes at the Airedale Terrier National Specialty at Montgomery 2010. 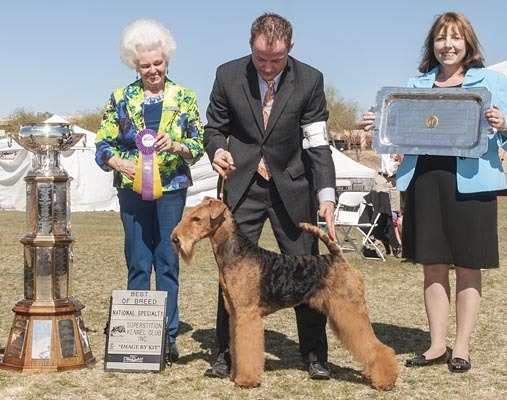 Just like her brother Jake, GCH Joval on Angel's Wings, while being held back for bigger shows and waiting to mature, she was shown only twice in the spring. 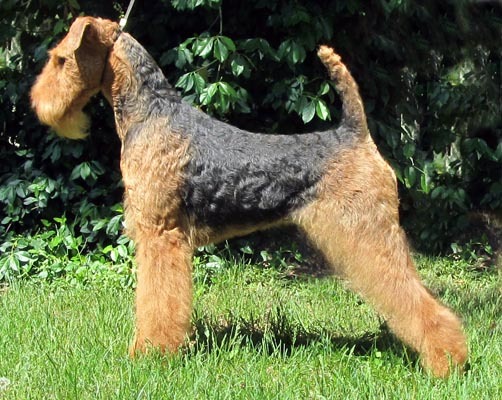 Wispa won Best in Sweepstakes at the Greater Philadelphia Specialty in May and in June she went Best of Winners and Best of Opposite for a 5 point Major at the New England Airedale Terrier Specialty. 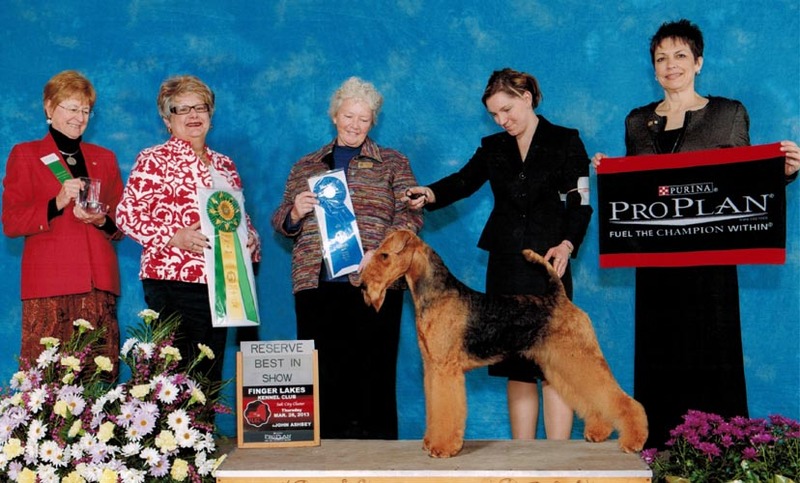 Wispa finished her Championship with 2 more majors at Hatboro I and Hatboro II by going BOS over all the Specials during the Montgomery weekend of 2011. 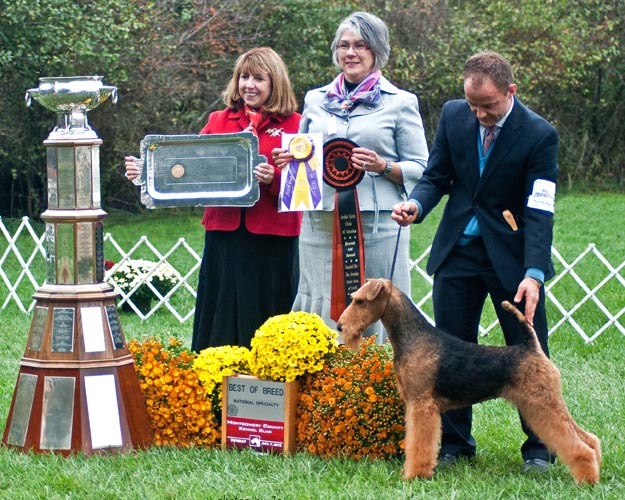 To start out 2012, she was BOS at the Westminster KC Show and soon earned multiple group placements. 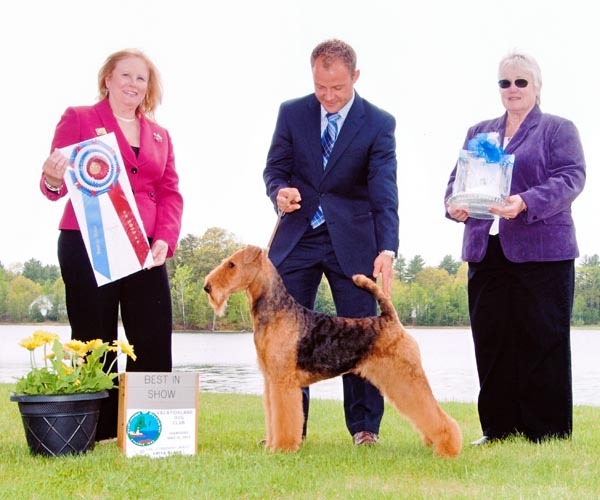 Being sparingly shown, she finished her Grand Championship in only 1 month.